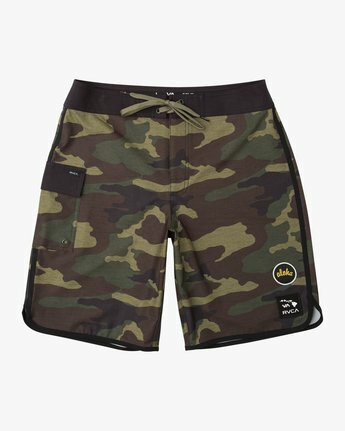 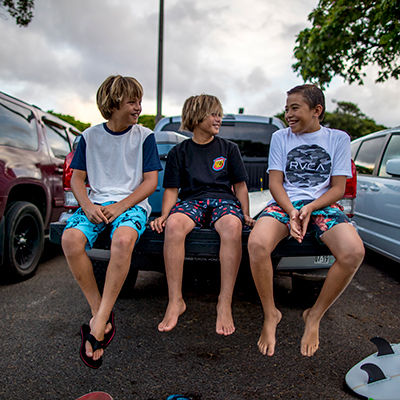 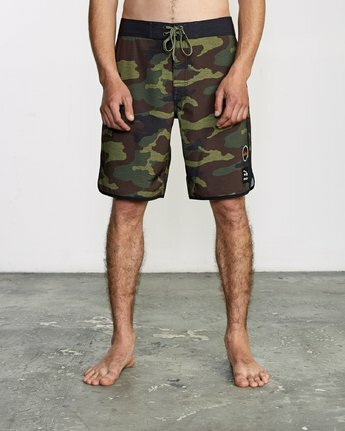 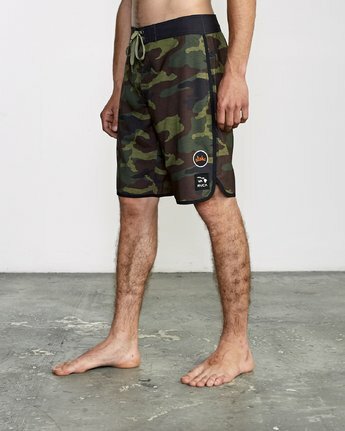 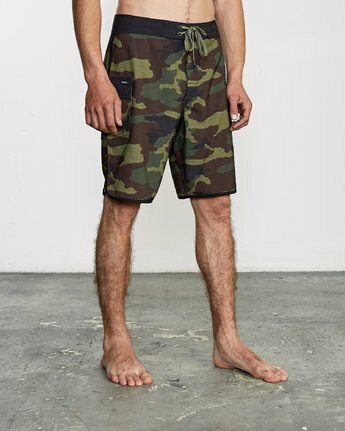 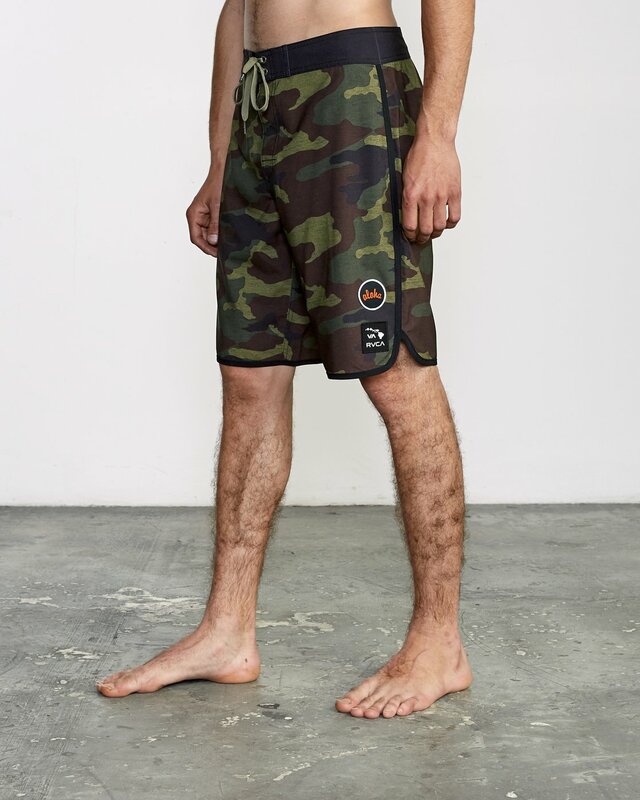 The RVCA Aloha Camo Trunk brings island pride in a high-performance, 4 way stretch boardshort. 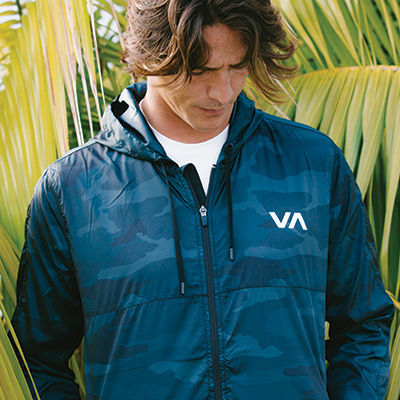 A DWR coating ensures quick dry and a lightweight feel, while triple lock closures and triple needle stitch on rises ensure durability and toughness. 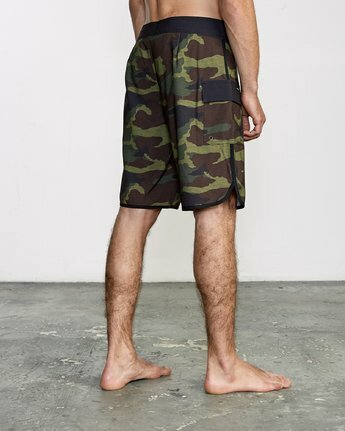 A scalloped hem on this 20" pair adds to the perfect fit and comfort.